Behind the scenes in our transformation of the Terry’s Factory Building are two staircases that have been retained in their original state. Heritage officers from the City Council were keen to keep specific internal elements of the Art Deco building intact and as always we were happy to oblige. The original green and creme tiles were carefully cleaned, damaged sections repaired and steel handrails have been specially commissioned and installed. Site manager Darren Commons said: “In truth the building is so well constructed and there was minimal intervention on these two staircases – they are pretty much as they were the day the building opened. They will have been used by thousands of workers over the years accessing the five floors of the Factory Building and I think it is fitting to retain these elements.” The staircases are at each end of the vast building and serve as fire escape and goods routes. Exernally the Grade II listed building has been sympathetically and skilfully restored to look as good as the day Noel Terry opened it in 1926. The distinctive brick and stone has been cleaned and repaired where necessary and every window replaced. 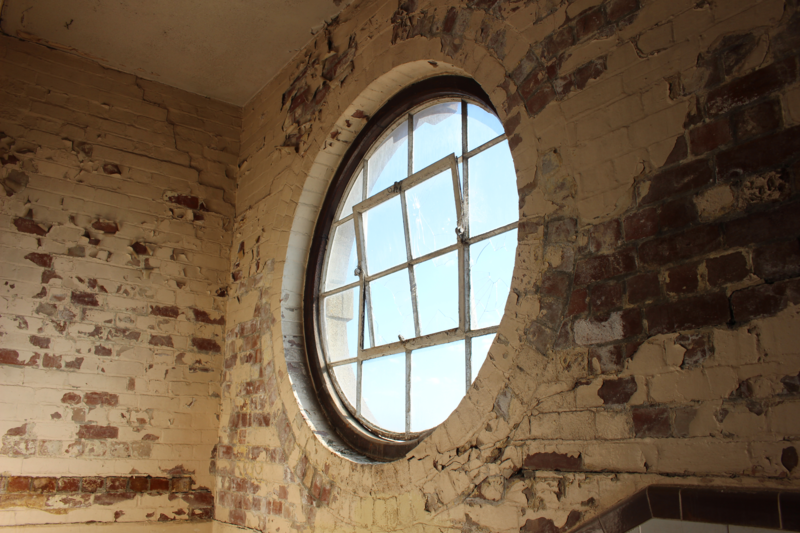 Six distinctive round windows have been refurbished on site, with four incorporated into individual apartments while the final two are in the communal areas of the building, now renamed The Residence. 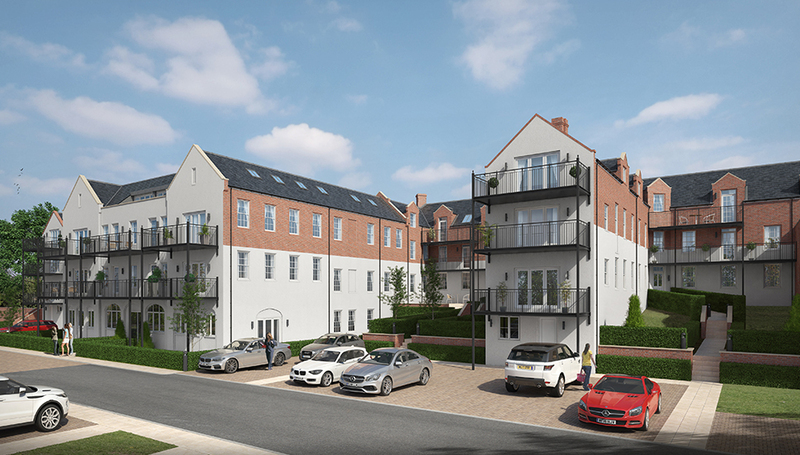 See HERE For more information on latest property releases at The Residence, York. The wealth of character in the conversion properties at our Westwood Park development in Beverley, and its position a short stroll from the heart of the market town, is attracting buyers from all across the UK. A prime example of the sites expansive draw is Ken and Denise Pick’s story, whom recently relocated from their native North East to move into one of the penthouse apartments in the site’s original white brick villa Beaver Lodge – now re named as ‘The Mansion House’. Ken said: “We had decided to downsize and had been looking at bungalows when I spotted Westwood Park on the internet. 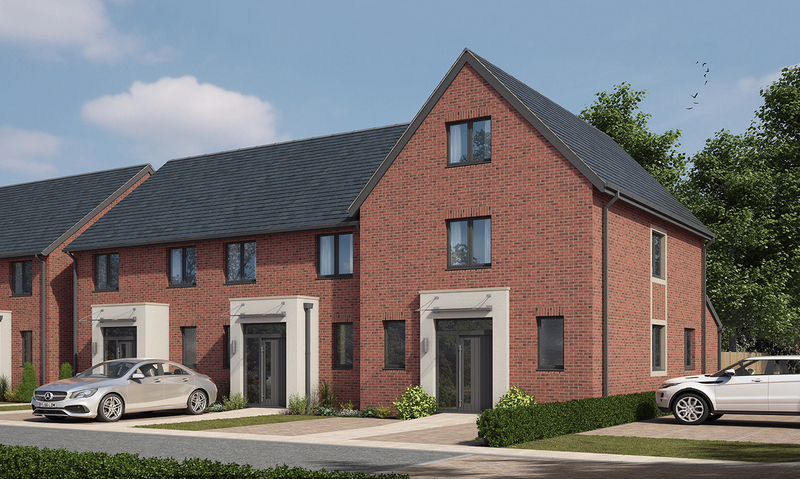 Our daughter lives in Beverley and our son in York, but we had not heard about the scheme.” The couple quickly organised a house-hunting weekend and were talked through the development by our dedicated on-site sales team. Sweet memories for former Terry’s worker. The world famous chocolate empire of Terry’s has left a strong legacy in York and a strong affection amongst many former workers. Meeting the Residents at The Residence, Lancaster. We love meeting people who are as passionate about Lancaster Moor as we are, so of course we were delighted to welcome photographer Andrew Gibson who has long been fascinated by the building. The Residence is also now his home after he came to look round during an open day last year. He explained: “I previously lived in a three bedroom house close to the station in the centre of Lancaster which I had renovated from top to bottom and I really had no intention of moving. Andrew bought a light filled two bedroom ground floor apartment and said: “In terms of space it’s smaller than my old house, which was three storey, but actually feels bigger with more usable space. The ceilings are high and the windows are fabulous. I have a modern kitchen with all top appliances and I have swapped a north-facing yard for a very large west-facing garden. Clementine Allen – Resident at The Residence in Lancaster. 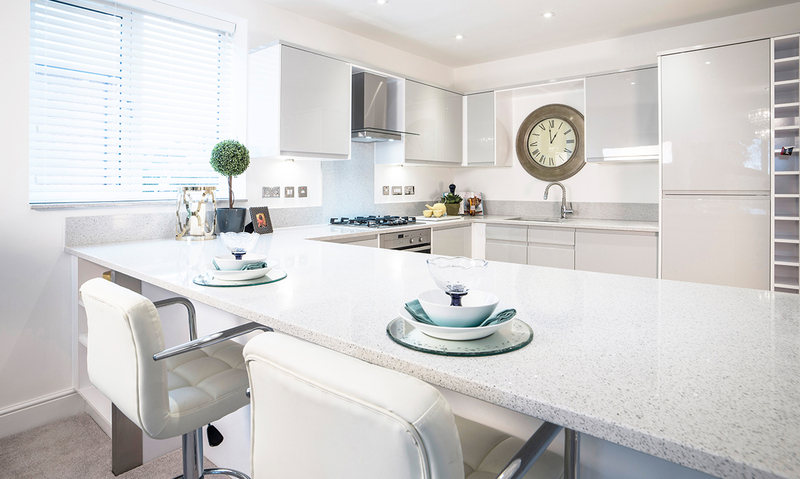 The Residence at Lancaster Moor has established itself as the premier address in Lancaster, a magnificent development in a stunning setting and home to a mix of lovely people who are now proud to call it home. Lovely people like Clementine Allen who swapped a large seven bedroom Georgian property ten miles out of the city for life in one of the building’s stunning penthouses. It was a dramatic but successful shift and she said: “I lived in my old home for 47 years but have not missed it once – isn’t that odd? But the time was right and I know I made the right decision because I already feel settled here. My apartment has high ceilings, lovely windows, a private terrace so no gardening and is all on one level, so no stairs. Some of the pieces of furniture I brought with me are large but they fit in perfectly and it all came up in the lift! She also fell in love with the character of her new home which features a distinctive oriel window in the spacious living room and has views over open playing fields from the terrace. Clementine, owner of the renowned Pizza Margherita restaurant in the city centre is passionate about Lancaster and a member of the Civic Trust. She said: “When you downsize you don’t want smaller rooms – you just want fewer of them. And you want to be nearer to things and part of life not shut away or stuck somewhere remote in the country. “The Residence is perfect. It offers scale and grandeur but is close to everything. From here I can walk into the city and a taxi back costs just £3.90 so no parking charges which makes it far easier to get to the restaurant. “I like the fact there are all ages of people here and I look over the new build houses where hopefully there will be families and children. It is nice to be able to hear the sound of children playing. “I had my two children young and now have four grandchildren with a great grandchild on the way and I love them coming to visit.